Have you ever wanted to dig deeper into God’s Word? Are you ready to grow up spiritually? The life-changing experience offered to full-time Bible College students is now available to you! The same information that has been the catalyst in growing our church from one location to seven locations with regional and global reach is now accessible to you. Classes are now available two different ways. Will there be a personal connection? When enrolled as a student you will be assigned a mentor who will contact you, frequently. Your mentor will walk you through classes, help you understand assignments and encourage your spiritual growth. It is free to attend classes and receive valuable, spiritual information. To receive college credit for a class, a test must be submitted and a $25 tuition fee must be paid. Approximately $275 a school year. How is the grading done online? If you want credit for classes, tests are given through an online testing system. You will need the internet to complete the tests and/or assignments. A computer, phone or tablet with internet access and a valid email address will be needed to take tests online and view online classes. A good rule of thumb is, if your device can watch a youtube video without interruption, it will work fine. Will it be at my church location? Most Heartland churches are offering classes via video on Thursday evenings. Please, check with your local campus. Plymouth church will host live classes for the 2018-2019 school year on Wednesday evenings. The filming locations will be moved each school year. 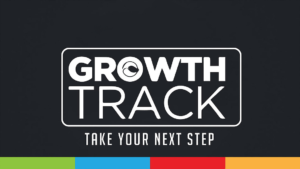 Most of the instructors of the Growth Track are ordained ministers and/or local pastors of Heartland who hold a Bachelor’s Degree or higher in Christian Ministry. What kind of information will be taught? A variety of classes will be offered in a four-year rotation. Old and New Testament studies along with practical life and ministry applications will be taught. What if I don’t want to do the class work? All of the information in the classes is free and classes are open to attend by anyone. You do NOT need to complete assignments and take exams if you do not want to. However, if you would like to receive college credit, all assignments, tests, and tuition are required. Are there requirements to become a student? There are no requirements to attend a class. However, if you decide to earn the college credit there are several requirements, a pastoral recommendation and a code of conduct to live by. Do I have to be a member of Lakeside Family Church? No, you do not need to be a member. However, if you are earning college credit, you must commit to belonging to any local church of your choice. However, that church does not have to be Lakeside Family Church. Growth Track is a ministry of Church of the Heartland and North Central Indiana Bible College. If you would like to be an official student, please click here, and you will be redirected to Heartland’s official Growth Track site where you can obtain an application and more details about being a student.